Tapered Hex Column Table Lamp in Antique Gold Leaf. 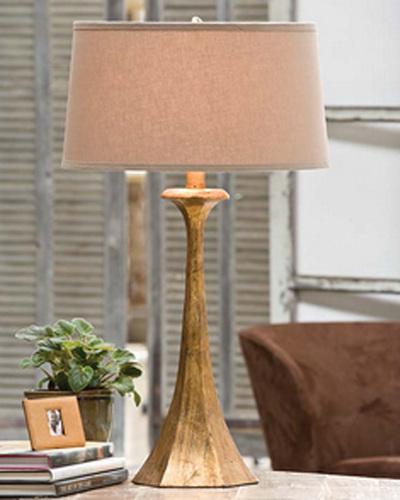 The simple shape of the Tapered Gold Table Lamp easily transitions from traditional to contemporary decor. Its unadorned tapered base is finished in slightly distressed gold for a luxurious touch. It accepts one 150 watts maximum bulb and features a three-way switch.